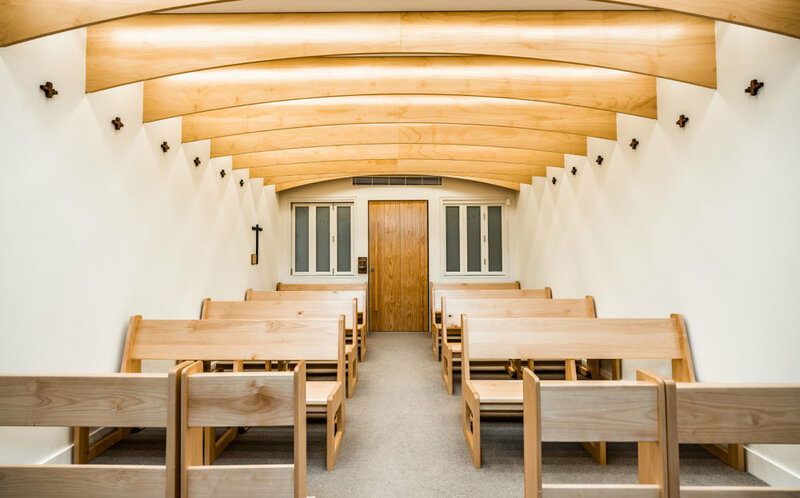 The canopy style ceiling beams were handcrafted to set this room apart from the rest of the monastery, adding to the sacred nature of this space. The wooden panels that frame the altar create a natural focal point, leading the eye to sacred imagery. 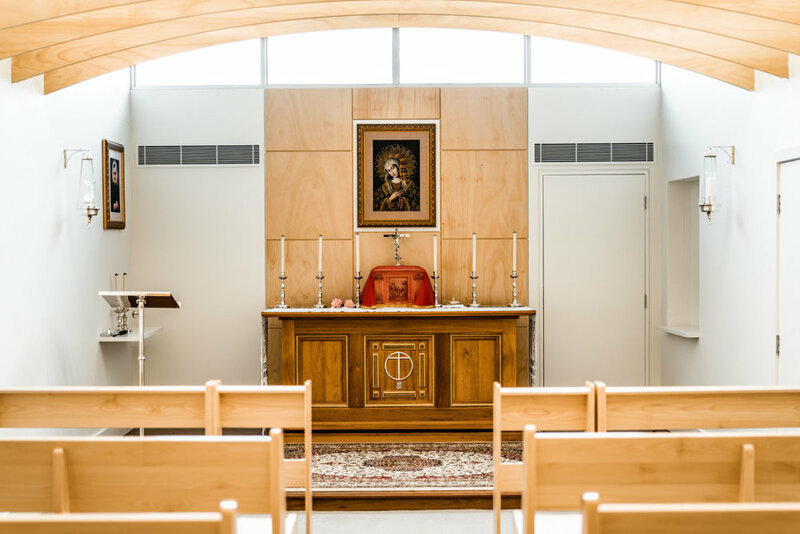 Floor to ceiling cabinetry and a small marble washbasin were also installed in a separate space behind the chapel. A Magno project wouldn’t be complete without a kitchen renovation. So we re-created the caterers kitchen too.